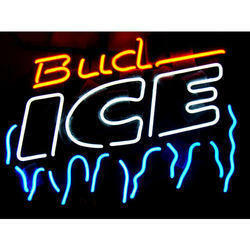 We offer exclusive range of Neon Signage in market leading price. These products are manufactured from best quality raw materials and latest machinery. We offer both metallic and non metallic signage to our customers. Our expert designers craft the signage that helps to leave an everlasting impression on your guests. We assure safe and timely delivery of our products. We are the preferred manufacturer, supplier and exporter of neon Restaurant Signs, which are known for their attention-getting glow and vivid colors. A neon sign includes details about your business and lets your customers know about the services even from longer distances. 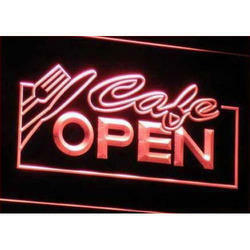 Made available in attractive and colorful patterns, these restaurant signs are the most effective means of signage. Looking for Neon Signs ?